Collars are typically used to protect a Long position in an Underlying asset or commodity (for stocks in particular). They are achieved by writing or selling a call and buying a put. A collar is also known as a Reversal or 'Fence'. The Strike Price of the Short Call will be above the market price of the Underlying and the Strike Price of the Long Put is below it. 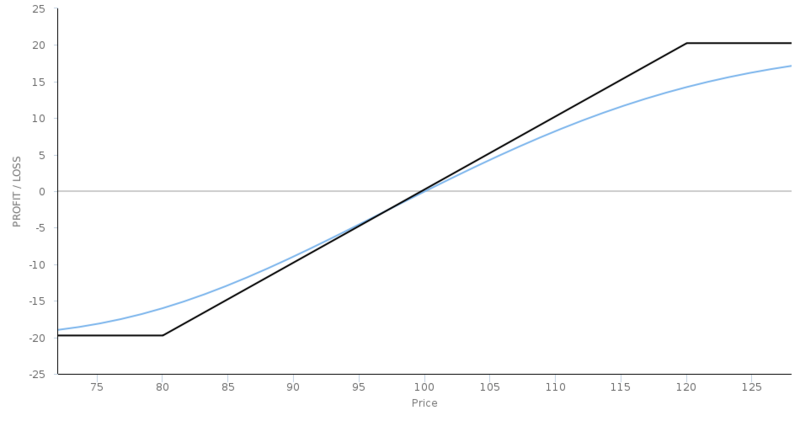 The collar is the differential between both strike prices and this limits the maximum range of profit or loss possible. If the price of the Underlying asset or commodity falls, the Put Option ensures the investor can sell it fora better price. If the price increases, the Call Option will probably be exercised, as such, the downside protection comes at the expense of not profiting from any upside. The Premium received from the Short Call covers the cost of the Long Put. The primary reason to use collars is as an extension of a Covered Call strategy. The Premium received from a Covered Call alone usually offers minimal protection from a significant fall in the price of the Underlying, which the Covered Call writer is always exposed to by virtue of the fact they own the Underlying asset. Using some of the Premium received from the sale of the call allows a put to be purchased which offers greater protection. This insurance reduces the net Premium received, however, therefore, collar strategies are less profitable than covered calls. Brian Overby from TradeKing describes collar options strategies. TradeKing article explaining the pros and cons of collars or reversals. TheOptionsGuide.com explanation of the collar options strategy. OIC options strategy guide article about protective collars. Charles Cottle explains the various types of collar trades possible in addition to their synthetic equivalents. Tasty Trade video explaining how to use a collar strategy around earnings announcements for a stock. TradersExclusive video describing how collars work using some examples.